Kevin’s orginal piece has grown outdated in a few places, so he was kind enough to write up a newer summary of core concepts for readers of this book. Since I first read the original nearly 10 years ago, I’ve tested his concepts across dozens of businesses, many of which are now multi-billion-dollar companies. I’ve added some of my core learnings and recommendations at the end. Enter Kevin I first published this idea in 2008, when it was embryonic and ragged, and now, 8 years later, my original essay needs an update—by someone other than me. Some platforms require “all-or-nothing” funding goals; others permit partial funding; some raise money for completed projects; some, like Patreon, fund ongoing projects. Patreon supporters might fund a monthly magazine, or a video series, or an artist’s salary. The most famous and largest crowdfunder is Kickstarter, which has raised $2.5 billion for more than 100,000 projects. The average number of supporters for a successful Kickstarter project is 241 funders—far less than 1,000. 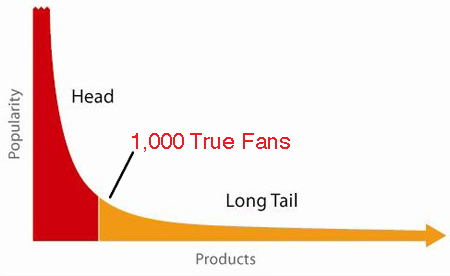 That means if you have 1,000 true fans, you can do a crowdfunding campaign, because by definition a true fan will become a Kickstarter funder. invite and look for indirect revenue opportunities not based on onsite transactions (e.g., paid speaking, investment opportunities, consulting). Posted in Business Case Study, Self Improvement on December 29, 2017 by Mousuf Zaman.C. After 7 years of searching, I have found my idol. Cincinnatus's path. To whom I can relate to, with my mission. “Cincinnatus. He was an emperor of the Roman Empire. Cincinnati, the city, by the way, is named after him because he was a big idol of George Washington’s. He is a great example of success because he was asked to reluctantly step into power and become the emperor and to help, because Rome was about to get annihilated by all the wars and battles. He was a farmer. Powerful guy. He went and took on the challenge, took over Rome, took over the army, and won the war. After they won the war, he felt he’d done his mission and was asked to go and be the emperor, and he gave the ring back and went back to farming. He didn’t only do this once. He did it twice. When they tried to overthrow the empire from within, they asked him back and he came back. He cleaned up the mess through great, great leadership. He had tremendous leadership quality in bringing people together. 10:30-12* — Idea generation for MFluence's customer journey. 12 noon — Make a cup of tea after going for 20 mins walk. 5pm* — Review GYAEN's 50 Young Global Leaders. 6pm — Spend time with family. 9-11pm — Shower, dinner and then catch up on Tv Series . 11-2am — Chill out and do whatever, probably reading for enjoyment or drinking catching up with team or friends. At home (phone) or out. Followed by sleep! Posted in Making Decisions, Productivity on December 5, 2017 by Mousuf Zaman.C. Hope they aid you, like it has with me. Posted in Productivity on December 5, 2017 by Mousuf Zaman.C. Always, I have always, loathed those who hide award websites. Absolutely, made no clear sense as to why this happens. Are you afraid of competition, those you face every day? Maybe it's just because some are just conventionally that way. Frustrating it is that, many don't share opportunities which exist. Open windows, allow those around you to overcome and achieve. Giving someone the key shouldn't be kept secret, should it? I didn't believe that I could, by myself, change everyone. Deciding to go the full mile of creating award database. "How would the process look like if it was easy?" I give you the company: "Boost", the global awards database author. Posted in Self Improvement on November 27, 2017 by Mousuf Zaman.C. “Sorry, I forgot to tell you that I am nearing the last steps of this cancer,”. Let’s do coffee on the beach. I hold grudges. 10 years ago I got annoyed about something that now seems really unimportant. So we stopped talking. When the message popped up I thought, why not? I needed to apologise to her. She came over. He had once done some work together when I was at my first job. We used to hang out with each other most days of the week. Around 2006 was when I last saw her. It was three years ago where they had spotted something. They removed it, but last year, it had spread to everywhere else in my body with almost no time to live. I wanted to say I am sorry to hear that but all that came out my mouth was, you look perfectly healthy. Just as I remember her. Every 2 months, I visit Helsinki for this medical trial but thank you, it’s good to know I look good on my way out. However, eventually, this treatment develops resistance at some point. I’m at 9 months now. And then, it’s a death sentence. She laughed which felt like she was telling a, on the border joke. There was, now, nothing, that I knew about her life. A tainted guilt settled within me for holding this grudge for a decade. I’m happier now than ever. I finally realised that my relationships are so important and for me, as every day passes, it is more and more becoming the most important thing in the world. I had always liked being around you. But there is always days when I am around people I don’t particularly get on with. Yet, I am surprised I am still alive. I puck my lips and taught myself to constructively tell them what I think. At any moment in the day I am exactly where I want to be and with those, I want to be around and constructively stick to my values. It’s a good think you still care about teaching others. I said. So am I! Because of this, I am always happy, every day I know that I will be doing exactly the things I want to do. I no longer worry about my future, but only in the present moment. I don’t care about any potential achievement. I no longer feel bad for missing little goals. I actually haven’t been shopping in almost a year, to make me feel better emotionally, I don’t need to. I am so happy. We took the coffee to go sit on the stones, under the sun, on the beach. She told me how cancer worked. She described the frustration and stress she endured through each stage of cancer. Each individual who had helped her through it. Although I have lost second branch family members to cancer, I really didn’t know any of this. We would converse for hours but now, I didn’t know what to say. She was joking around and laughing. She seemed the happiest I have seen her. Do you say sorry? When sat quietly, do you think about worries, anxieties or old conversations you have had? Not in the last 2 year. I live a life where I do things I have personally decided for myself. I was really anxious at first because I had so little time and so much to do. There was no way I couple of years was going to be enough. I was uncertain of what I wanted first. This uncertainty made me anxiety attacks. I used to find all the worries for my, what would be for 50/60 year of living in one or two months of this treatment. When the treatment becomes immune to cancer, I know I am going to die. I cannot out run it. So I stopped worrying about uncertain aspects of my life and the feeling of anxiety stopped with it. She became quite for long pause. I looked to tears in her eyes. It didn’t exist. She smiled. I wish I had messaged you 10 years sooner. It’s funny as it may have been this anxiety which had stopped me. I would have liked to get to know you better. When we used to be at work, I could listen to her for hours of her culture, beliefs and values. Her home, her family, her religion. It gave her a unique outlook on life. World problems and issues we disagreed on. I think that time, we were debating a father’s responsibilities. She always challenged me mentally and pushed my ability to think. At 17, I was immature. She also was almost, always, right. She was right then. I made good friends through having an informative conversation about Judaism, which I learnt from her. I wonder what else I could have learnt from her in the past 10 years. Especially in today’s world, learning of values and outlook of life from someone of a different culture has never been more important. Social or professional life. We still have so much more to learn with everyone we encounter. There are things I regret in life because I was uncertain of the outcome. Since then, I told someone what was on my mind without any expectation, I know I would have regretted if I hadn’t. The very same evening, we hosted an event with the aim of bringing different values of different culture together. I know I will regret it if I don't do it again. But we are at now. I am not going to be anxious about the uncertain repercussions of my two decisions above. Instead, I am going to be here in the moment, concentrate on her as she reads this post before she presses publish. Posted in Making Decisions on April 7, 2017 by Mousuf Zaman.C. When I was in 13, I was obsessed with a late night TV show on channel 4, it was a very sexualised game show. Would pretend to be sleep, but watch the program, fascinated by the stories. Next morning at 7am alarm, I’d realise I had slept 4/5 hours. I had learned something. Not a single thing. My partners (old high school friend) no longer speak to me and I lost all the money I made from that business. Over the past 5 years, I have actually MADE, hardly any money. I still have a dream, but I gave up on this dreams of becoming a pilot. Turning down the opportunity of starting as an apprentice from the bottom up. Thanks to Flight Deck Friends. They put in a lot of hours to help me. Then I turned around and left to do my own business. I gave up on dreams of studying as I had no time to sleep. I stopped sleeping from 2004 – 2016, put on weight and possibly now have brain damage. After reading “The Tao of Seneca”, I practiced poverty. Most times as I had no other choice. I learned how to live with fear and hate. Sometimes I still let anxiety and stress get better of me. I wish I hadn’t said ‘yes’ to it. It’s hard to realise all the dreams you had through your teens be demolished in your mid 20’s. I wish I never learned and started learning about new up and coming technology or global social-impact. Been running a charity since I was 19. I have nothing really to show for it. I learned a lot about business at the grass-root level in 9 developing countries. But I also gave up on doing what I was good at. I was good at hunting hidden hotspots in industry trends. I discovered my first 100 innovative companies in the globe straight after college, no one else took notice of them. Then I stopped. One of them raised 750 million last year. But I moved away. I read on technology and social impact at every chance. 300 books and 100s of academic and industry research papers later, I started networking with other managers in field, now me and the co-founder produce academic research papers. ..... You know what… emerging technology based and many social impact business is mostly BS and a scam. Everyone’s product/service is going to change the world so they can sell it a month later launch at the valuation of several billion with just a shell for show. I really am starting to loathe almost everyone in this industry. Whereas when I finally brought back the passion for hunting global trends for people again, in 2016, I started being around people I liked again. It gave my body the motivation to wake up in the morning again. I shouldn’t have been struggling to get out of bed in my mid-20’s. I wish I had said, ‘no’ to moving away from what I love 3 years earlier. I really wanted to be on radio. Every time a conversation I would have with someone from a radio station, they would call, I would drop everything. Every single time, I would say ‘yes’ and at the most so far, have travelled 357 miles for three minutes. Every time I went, each three minute visit was about anywhere between 4-8 hours process leaving my house. So many hours wasted because I was too polite, may be stupid as well to reject this offer. “Thank you, it can be hard finding different topics for our shows”, as this particular gentleman told me, I was thinking, I am a filler buster. I never did a radio show again. I have cut my friend circle to 4 people. 4 people I spend as much time as I can with. It’s hard to acknowledge at this age that, in life, not everything or everyone you love will actually ever be beneficial to you. EVER. I started taking Computing & IT and Mathematics a few weeks ago. I really wanted to learn, I am testing the ground. But then I thought of the 25 things I wanted to do in my life. The rule that Warren Buffett talks about and James Altucher have elaborated on. I took my list of 25, took the top 5 tore away the 20 below it and threw it away in the bin. I super love my family & friends. Traveling. Studying. My old weight of 11 stones. And the remaining businesses that I’m still involved in. My top 5. It’s not much and that’s all I want. So I said “no” to the other 20. I am sure this will change in the next 3 months or 6 months. Or maybe I will scrap the top 5 after testing and make a new list. Writing a book I didn’t want to write. I was soo complimented to be asked so I took half of the year out of my life. Being in a relationship when I was really younger. It took me 4 years and scars all over me to finally say “no” to her. Buying things I don’t need. All the time. I rarely used them again. Giving away 95% of everything I own. Being part of a start up once because of pure greed and money. The business failed and the feud ended after years. Too many networking events. I met amazing people however, a handful have ever kept in touch. I really appreciate every moment I have, I am still surprised I am still breathing. I am surprised I passed 26 into 27. So this is why it really bugs me to know of the many hours which I will never get back. Saying ‘no’ to things when your heart is not in it adds many, many hours to your life. They add up to days, months and years. I don’t read the newspaper. I try to avoid social media. I don’t spend time with toxic people. I don’t have life insurance. I’m not fan of weddings unless it’s family or close, close, close friend. I don’t really speak at many events or conferences. Over the years I said yes to buying many things. List could go on and on, I wasted the moments where I could have been with someone or somewhere I love. I have no regrets. Because every 'yes' was a lesson. The lesson taught me to say 'no' to all the things bad for me. ‘No’ is how you whittle down and sculpt yourself into a work of art today, I can proudly say I am in a small circle of experts in a niech market. Every ‘yes’ was a mistaken step forward. I have learned. I know exactly what I want today, comfortably be in my zone feeling confused on what will happen tomorrow and yet be very confident going on to become 28. I said no to someone who always calls me when they want something and then disappear again. Instead, I wanted to write on the subject which consumed my thought last night. What's your 5 that keeps your want to have many more hours in your life? Posted in Making Decisions on April 4, 2017 by Mousuf Zaman.C. Turns out, something as simple as tweaking the colour of a button changes user behaviour or endears people to your product. Buffer's Leo Widrich explains the importance of colour in website and brand design. This is one of the most-read leadership articles of 2013. Why is Facebook blue? According to The New Yorker, the reason is simple. It’s because Mark Zuckerberg is red-green colour blind; blue is the colour Mark can see the best. Not highly scientific, right? That may not be the case for Facebook, but there are some amazing examples of how colours actually affect our purchasing decisions. After all, sight is the strongest developed sense in most human beings. It’s only natural that 90% of an assessment for trying out a product is made by colour alone. 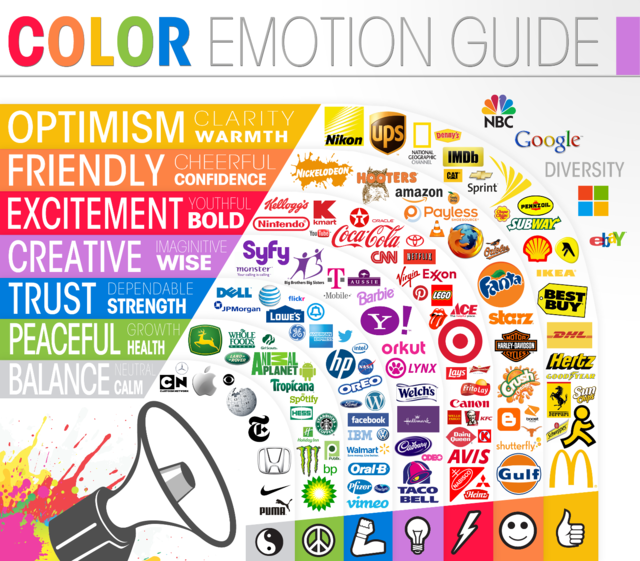 So how do colours really affect us, and what is the science of colours in marketing, really? As we strive to make improvements to our product at Buffer, studying this phenomenon is key. Let’s dig into some of the latest, most interesting research on it. First: Can you recognize the online brands just based on colour? Before we dive into the research, here are some awesome experiments that show you how powerful colour alone really is. Based on just the colours of the buttons, can you guess which company belongs to each of them? These awesome examples from YouTube designer Marc Hemeon, I think, show the real power of colour more than any study could. Which colours trigger which feeling for us? When we feel compelled to buy something, colour can play a major role. 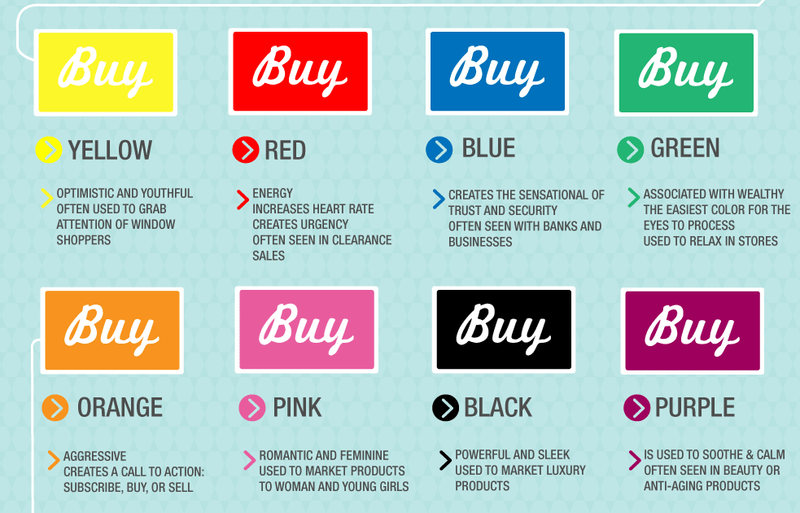 Analytics company KISSmetrics created an amazing infographic on the science of how colours affect our purchases. Green stands out to me as the most relaxing colour we can use to make buying easier. We didn’t intentionally choose this as the main colour for Buffer—although it seems to have worked very well so far. This all might be fairly entertaining, but what are some actual decisions we can apply today to our website or app? The answer comes yet again from some great research done by the good folks over at KISSmetrics. If you are building an app that mainly targets women, KISSmetrics suggests that women love blue, purple, and green, and dislike orange, brown, and grey. In case your app is strictly targeting men, the rules of the game are slightly different. Men love blue, green, and black, but can do without brown, orange, and purple. In another experiment, Performable (now HubSpot) wanted to find out whethersimply changing the colour of a button would make a difference in conversion rates. They started out by trying to guess the outcome of a simple choice between two colours (green and red) and trying to guess what would happen. "Green connotes ideas like "natural" and "environment," and given its wide use in traffic lights, suggests the idea of "go" or forward movement. The colour red, on the other hand, is often thought to communicate excitement, passion, blood, and warning. It is also used as the colour for stopping at traffic lights. Red is also known to be eye-catching." So how did that experiment turn out? The answer was surprising: The red button outperformed the green button by 21%. What’s most important to consider is that nothing else was changed at all: 21% more people clicked on the red button than on the green button. Everything else on the pages was the same, so it was only the button colour that made this difference. This definitely made me wonder: If we were to read all the research before this experiment and ask every researcher which version they would guess would perform better, I’m sure green would be the answer in nearly all cases. Not so much. 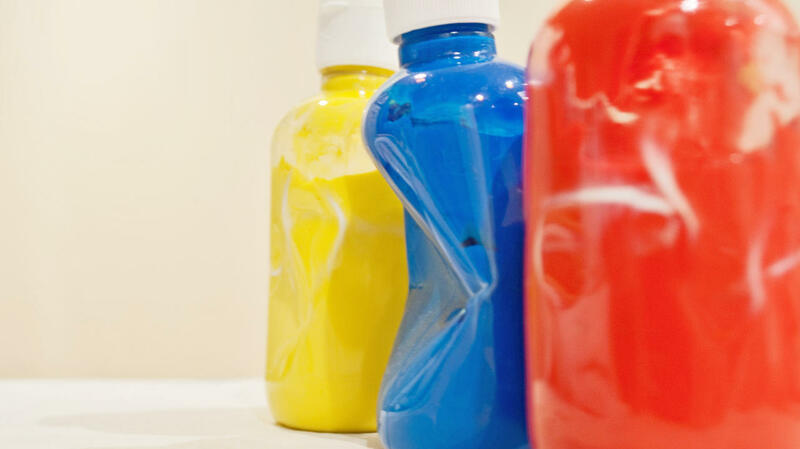 At my company, we’ve also conducted dozens of experiments to improve our conversion rates using changes of colours. While the results weren’t as clear, we still saw a huge change. One hypothesis is that for a social media sharing tool, there is less of a barrier to signup, which makes the differences less significant. Despite all the studies, generalizations are extremely hard to make. Whatever change you make, treat it first as a hypothesis, and see if the actual experiment supports your ideas. Personally, I’m always very prone to go with opinion based on research I’ve come across. Yet, data always beats opinion, no matter what. This is something that always interested me and is actually a fun story. In short, it's offers the highest contrast between the colours used on early websites. Here is the full explanation: "Tim Berners-Lee, the main inventor of the web, is believed to be the man who first made hyperlinks blue. 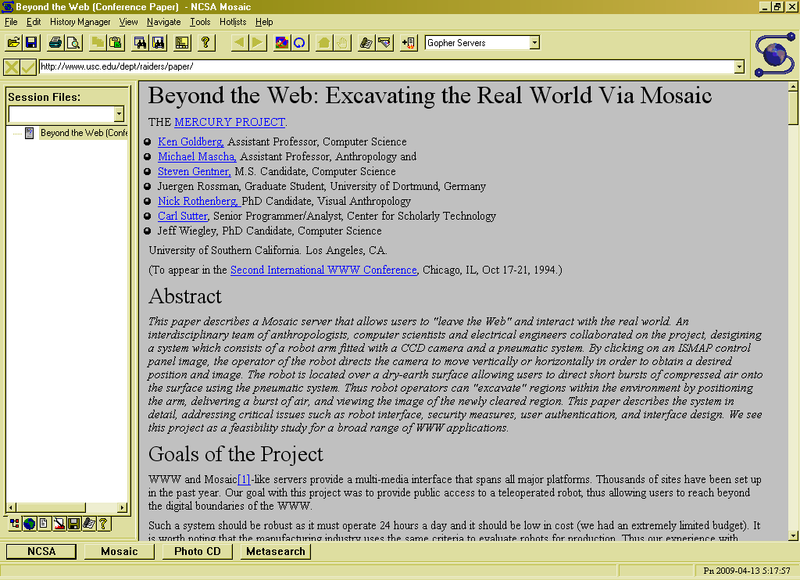 Mosaic, a very early web browser, displayed webpages with a (ugly) gray background and black text. The darkest colour available at the time that was not the same as the black text was that blue colour. Therefore, to make links stand apart from plain text, but still be readable, the colour blue was selected." I think it's fascinating that tweaking something as small as the colour can completely change an outcome. What have been your findings in terms of colours and marketing? Tell me about it in the comments. Posted in Making Decisions on July 19, 2016 by Mousuf Zaman.C.